We RPG players live for those times when all eyes are on our character. Suddenly we are completely in the moment, feeling a rush of adrenalin and a powerful surge of excitement. We sense the other players’ concentrated attention on what’s occurring. These intense moments, when the spotlight focuses on our character, become some of the most memorable elements of a campaign and are a significant part of the joy of the role-playing experience. For the most part these “spotlight moments” come up organically as part of the process. Ideally, they happen to everyone throughout the game, and the entire group feels as though they each got to have some focus placed on their character. However, this isn’t always the case. Sometimes a quiet player is overlooked or a more outgoing player dominates the action. Because of variables in players and personalities, it falls on the GM’s shoulders to manage the spotlight in a manner that helps provide a rewarding experience for everyone at the table. As a game master, I want to provide the best possible experience I can for the people at the table. A big part of that is managing the spotlight. To do this effectively, I first pay attention to what elements of the game each player seem most connected to. For some players, it is their character’s cool abilities, while for others it is their personal story arc or background. Some players want to solve mysteries and discover things about the campaign, while others want to bask in heroic glory. It’s important for me to know what appeals to each of the players so I can tailor spotlight moments to meet their desires. Some players even find a great deal of satisfaction in the things their character doesn’t do well or dealing with their character’s personality flaws. Currently, I am running a Dungeons & Dragons campaign with my usual group of players. Each player and character has differing needs, and finds different aspects of the game to be enjoyable. The following examples are taken directly from my current campaign, Forged by Fate. In each case I’ve made a few observations about the player and their character and noted how I used this to incorporate specific elements. La-avyril is excellent at sneaking around and loves hiding from her enemies. Melissa keeps a running tally of every creature she has killed. Her character has a low strength, and tasks relying on physical power are tough for her. For Melissa, I’ve ensured there are plenty of opportunities for La-avyril to use her stealth, whether by scouting ahead or striking from concealment. When she has the drop on a foe I usually allow her to kill it outright regardless of her damage roll (at least once or twice a session). I also ensure she occasionally has to deal with strength-based challenges to highlight her lack of muscle. In a recent session, La-avyril got to go on a “solo mission” while the rest of the party had an audience with the Jarl. It was a great opportunity for her to showcase her abilities by breaking into a dwarven prison, avoiding the well-trained guards, interrogating a prisoner, and sneaking back out. There were a couple of tense moments when she had to climb a wall to get out of an area, but everyone cheered when she assassinated an evil prisoner. Volgast is a middle-aged man from a rich and influential family of artisans. Sam likes to make tough decisions and drive the action forward. He also likes to play educated and experienced characters. For Sam, I have scattered a number of “family holdings” around the towns and villages of the region. Volgast is able to use these locations for the benefit of the party (shelter, resupply). To spotlight his knowledge and experience, I have prepared numerous cards containing information Volgast knows about a variety of subjects. When the heroes arrive somewhere new, meet an important NPC, or hear some story or rumor, I give the corresponding card to Sam and let him (as Volgast) tell the others about the topic. I’ve also tied a few plot threads to Volgast’s family, which will eventually force Sam to face some difficult decisions regarding loyalty to his household. Bratheal is single-minded and driven to restore honor and glory to his clan. Stacey loves challenging combat encounters, especially against the undead. Stacey has talked in the past about taking on a leadership role with a character. Bratheal’s desire to find Deep Echo Delve has become the driving force behind the first half of the campaign. Ostensibly, the entire reason for the party to come together is to help him find the lost stone-hold. Since Bratheal’s goal is the party goal, Stacey has taken on the role of group leader almost by default. To showcase Stacey’s desire to fight the undead, I have made the Lich Queen responsible for the loss of his delve and required Bratheal to track down the undead spirits of the stone-hold’s survivors. Rex is untrustworthy and shady but deep down he wants to do the right thing. Colin wants Rex to be a social character with a sharp wit and persuasive tongue. Colin loves for his characters to solve mysteries and put puzzles together. Colin wants Rex to be a socially adept character, and since my campaigns always feature a lot of social interaction this is easy to spotlight. Although the campaign itself features a couple of plot-related mysteries, I’ve also created an interesting plot arc focused on Rex’s “family curse” and the newborn infant daughter he has left back home. I’ve also used Rex’s previous life as a smuggler to bring some interesting NPCs into the campaign: allies, rivals, contacts, and enemies. Salazar took his warlock pact to save his niece and is worried about his future. Vance likes having his character directly tied to at least one other character in the group. Vance also like the idea of playing a doomed or fated character. The single most important relationship to Salazar is the one between the warlock and his pact patron Harlequin, an exiled arch-fey from the Feywild. Before the campaign’s start Salazar was a small-time con man and hustler but offered his soul to Harlequin to save his newborn niece, which is also Rex’s infant daughter. I have kept Harlequin’s agenda secretive and mysterious but also dark and foreboding. Vance has no idea what’s in store for Salazar but he can’t wait to find out. Learning and applying effective techniques to spotlight a character can create the kind of gaming moments you and your players are talking about for years to come. Take some time to discover what each of your players really likes about their character then set up situations and elements where that “thing” can be brought to the forefront of the game. All too often, a trap encounter is little more than a speed bump. The PCs pause for a moment, make a few skill rolls, and then move onto the next room. While a trap may be a spotlight moment for the rogue or artificer, there is a way to engage the whole group. Turn a trap encounter into a dynamic story location by adding a story overlay. An overlay is something that combines with the existing trap to add roleplaying or puzzle elements. Description: An outline of what the PCs see when they enter the trap location. Add these narrative details to the original location description. Dilemma: A summary of the problem facing the PCs. Development: Suggestions for how the encounter may progress according to how the PCs deal with the dilemma. Details: Ways to tweak the overlay to fit closer to the wider story. Here are two sample overlays for you to use in your game tonight. This overlay provides a roleplaying opportunity in the trap room. It could evolve into combat, but negotiation is the most profitable option as it can provide additional clues about the trap and what lies beyond. As you enter the room, a door on the other side opens, and a mixed group of figures walk in. Several of them are warriors, and from the look of their equipment, they appear to be adventurers. The PCs want to disarm the trap and travel deeper into the complex of rooms. The new group knows how to bypass the trap and wishes to leave. So each side wants to exit the way the other group entered. Will the PCs negotiate, fight, or retreat and spy on the new group? The new arrivals are a merchant and his retinue of bodyguards roughly equal in strength and number to the PCs. The merchant has been trading with the most powerful figure deeper in the complex. He is not an ally – it is just business. Consequently, the merchant does not want a fight but his bodyguards will leap to his defence if attacked. The merchant knows how to negate the trap, and is prepared to sell that knowledge or even information about what lies beyond the trap. It all depends on what the PCs have to trade in return. If the PCs try to intimidate the merchant, then he will just retreat back to his customer and warn him. The merchant has faith in his bodyguards, and believes he is in a position of power. Thus, he is not about to be intimidated. He expects gold and valuables in exchange for his information. Another possibility is for the PCs to retreat then spy on the group as they traverse the trap. This choice removes the roleplaying element from the encounter but still provides clues for dealing with the trap. Should the situation erupt into combat, then the bodyguards will use the features of the trap to aid them. They are experienced adventures, hired by the merchant, so will use similar tricks to ones the characters favour. The bodyguards are mostly humans, but may include representatives of the species living beyond the trap. These are amoral adventurers loyal to the merchant. Make the merchant driven by greed but not outright evil. This overlay provides a heightened puzzle for the players. The trap location is transformed by a complex network of chains into a physical puzzle with no easy solution. The room before you resembles a spider’s web made from chains that weave from floor to ceiling for the whole length of the room. Each stretch of the chain has several hand bells affixed to it. Near the ceiling of this chamber are several small barrels suspended on the same network of chains. Small, brown particles float in the air, and the whole rooms smells foul. The essence of this room is a choice between equally poor options. If the PCs rush through the room, then they will set the bells ringing and alert whoever is beyond the trap. If they move slowly through the room, avoiding setting off the bells, then they are vulnerable to the effects of the trap. They could choose to remove the chains, but this only dumps the choking dust in the barrels into the room and creates a whole new set of problems. Which of these bad choices will they pick? As described in the dilemma section, there are several components to this puzzle. The sturdy chains are made of metal but not exceptionally strong. It is possible to cut these chains, but as they are a single network of chain, they are all linked together. Cut one chain, and all the bells and barrels will fall unless the players are clever. The bells suspended on the chains are also normal, but will create a lot of noise if rung. Their noise would be heard through the entire complex. Finally, there are the barrels of choking dust. These are the source of the brown particles floating in the room, and the foul smell. If the barrels are disturbed, then small clouds of dust will fall to the floor. If the barrels are dropped, then the whole room is filled with a thick cloud of choking dust. These barrels might make useful weapons for resourceful players, but the dust is motion sensitive, making the barrels challenging to transport. The dust is an alchemical compound, which produces severe choking and coughing if inhaled. Small amounts of dust have a lesser effect, so scale the results accordingly. Both the bells and the dust could be magical if this fits the location. Likewise, the dust may be from another plane, or corpse dust, depending on the theme to the location. A plot overlay is a flexible tool. It lets you to add all sorts of features to a trap location. Remember, this is the same trap as before only with added story. I have several more of these overlays I could share with you, so if you found these ones useful, please let Johnn know. Throughout history, flags have had such power. They communicated almost magically over long distances and on the battlefield. They served as rallying points for warriors rising to victory. They were coveted as trophies from defeated enemies. Flags symbolize patriotism. They represent ideas as diverse as religious affiliations or product preferences. In no way should the power of these simple pieces of cloth and colour be underestimated. 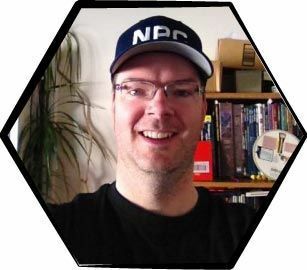 Add the fantastic elements of the role playing game to real world effects, and a diligent GM can create new depth to his setting and novel adventure hooks. Be careful though. Such power can create changes and behaviors beyond the expectations of any player or game master. Flag Identification is important in your games for a variety of reasons. Characters and NPCs need to know what kingdom they’re approaching, whose delegation is arriving, and what rank they are. A guide to basic flag information can be found here. Generally speaking, the larger the flag the more important the official who is visiting. This principle does not apply to flags in battle, as a larger flag is more conspicuous. Flags do not need to be rectangular. In addition to the pennon (a small, elongated pointed or swallow tailed flag), consider having a flag shaped like a several stacked triangles, an octagon, a star, or round. Use this link to make your own Game Flags. Use this link for inspiration from Fictional flag ideas. Real world uses of flags is varied and complex. Both military and civilian uses abound and a creative GM could likely come up with even more. Trained signalmen on high ground direct military divisions where to move, and what formation(s) to use, thus giving their troops an advantage on the battlefield. How much of an advantage is determined by how quickly the troops respond and what the enemy does to counter. In a fantasy setting, more than just formations and deployments can be considered. Signal flags could be used to coordinate magic use or maneuver units with special abilities or natural weapons. Historically, many battles have been won when some brave soul takes up a flag and rallies the troops to their flag. This surge of patriotism could be enough to give the defenders of the flag a bonus. Similarly, if a leader of a group dies, others may pick up his or her fight, developing a flag to symbolize that cause. This is called semaphore. But because the communication is done one letter at a time, it takes awhile to convey even a simple message. Alternatively, there are many examples where a set number of flags are recorded as representing certain words, ideas, or units. These code-books could serve as an important for capture or protection as Combat Missions. In a world where magic can add real measurable transformations to the already powerful symbolic control and influence they exert, flags must take on an even more important role. Magical effects that would make any adventuring party a formidable force can be added to flags and create an epic level of power for an entire army or community. Before providing some magical flag ideas, first let’s consider game balance. You have a well thought-out setting. You don’t want new magic to break it. So here are several ways you can use flag magic to benefit PC allies or harm their enemies without disrupting your setting. The flag’s magic is keyed to those of a specific religious affiliation, adventuring party, part of a certain kingdom, or a specific race or bloodline. Effects only work within certain distance of a flag or within a radius of effect. There needs to be a number of flags marking the boundaries of the effect. If a flags is removed, the effect ends. For instance, you would need 4 flags on the corners of a rectangle if you ruled just the corners of the shape needed to be marked. If one was making a circle, there might need to be eight flags evenly spaced around the circumference. Take one away and the magic starts to fade. The larger the flag, (usually) the more area it can cover. For instance, the Japanese wore small flags called sashimono that, in a magical era, would only cover them. If you have a standard sized flag (in today’s world) the effect might cover an area the size of a football field. Perhaps such a flag’s effect would rely on line of sight and its size and elevation would be most relevant. Only the person carrying the flag or attuned to the flag gets its benefit. The flag’s magic is a trick of the mind. If an enemy overcomes the illusion, then the effect fades. Some flag effect will last for a set period of time, long or short is up to you. Other flags might be usable only at dawn, noon, dusk, or during the darkest part of night. The flag has certain number of one-time uses, or it needs recharging after being drained. The requirements for recharging could spawn quests. The flag’s magic needs to be turned on by a ceremony with expensive ingredients, a lengthy performance, or actions you cannot perform during combat. New Moon: Prevents were-creatures changing forms at a certain distance from the user. Waxing Crescent/Waning Crescent: Grants all allies a special ability similar to that of the governing race. For example, followers of a Moon Elf enclave would have all the advantages of a Moon Elf, regardless of their actual race. First Quarter/Third Quarter: Grants superior night vision to all allies. Gibbous Waxing/Waning Moon/Full Moon: Increases the powers of lycanthropes within range or lessens their disadvantages. For example, a werewolf could change while exposed to this flag, even when the moon is not full. Full Sun: This flag causes undead to flee or take damage as if from a sanctified location or the true sun. Partly Cloudy: The user of this flag can heal himself or others an amount of damage or a number of times a day. Eclipse: This flag allows undead to walk around during the full light of the day or otherwise avoid damage caused by the true sun. This flag alters the weather by one step. Wind might change for easier archery or worsen so foe missiles fall short. Precipitation might make the ground harder or easier to traverse. Fog and mist could obscure vision. Temperatures might drop or climb, making ice thin and treacherous or heavy armor more fatiguing. Spider: Use of this flag grants the ability to climb like a spider. The flag could be made from spider silk. Ant/Termite: Use of this flag grants allies the ability to ignore fatigue for a set duration. Bee (Yellow Bee on a Black field): The area around this flag is protected by a swarm of bees. For incidental flavor, its allies may have a desire for honey. Butterfly (Violet Butterfly on a Blue field): The movement of allies protected by this flag may appear to have erratic movement, making them more difficult to target. Depending on the system, this could be represented by a Blur effect or some type of illusion magic. Beetles Fighting (Two Black Beetles on a Brown field): Use of this flag improves grappling or unarmed combat skills. Fly/Mosquito (Red Mosquito on a Black field): This flag creates a distracting buzzing noise that would interfere with concentration and make enemy rest difficult. Caterpillar/Centipede: Plants around the flag react as if eaten by insects. Cricket: Grants all those within the flag’s influence a restful night’s sleep. Great Cat (Lion, Tiger, Cheetah): Increased short range running speed. Perhaps the flag needs to be created from the pelt of the appropriate creature as part of a complicated activation rule. Wolf or Dog: All those under its influence act seamlessly as a pack. Fox: Increased cunning, perhaps with better ability to fast-talk or detect traps or lies. Horse: Greater endurance or higher running speed. Lizard: Under hot conditions, allies act with increased haste and energy, but in cold conditions they become physically and mentally lethargic. Elephant: Grants feats of strength or endurance. Frog: Grants the ability to command frogs or perhaps increases jumping ability. Bat: Followers receive the ability to see in the dark, perhaps through echo-location. At its most powerful, all allies may gain the capacity for flight while within the flag’s influence. Bear: Strength and durability, and perhaps a berserker type rage. Antelope: Gain speed and grace and perhaps jumping better over obstacles. Ape: Gain the ability to brachiate. Shark: This cursed flag makes those it influences seek out the smell of blood. The most typical way it does this is to have them seek bloodshed in areas of war. Anywhere there’s a battle, the followers go into a berserker’s rage until sated. Otter: Heightened swimming ability or ability to survive in wet conditions with no negative side effects. Wolverine: Dig with unending energy, and perhaps with a bad attitude. Porcupine: Gain a defensive and damaging magic field, such as a wall of fire or shield of blades. Alligator/Crocodile: Hide in shallow water. Bites also become more damaging. Rabbit/Hare: Gain a supernatural reaction time. In some rules, this might be improved initiative, while in others it’s improved ability to sense danger. Mouse/Rat: Command rats in the tradition of the Pied Piper of Hamlin. Alternatively, such a power could be used on people to create a form of charmed army reminiscent of the effect the Piper had on Hamlin’s children. The users of this flag have the ability to pass unhindered through trees and undergrowth. As an added benefit, they may not bothered by intelligent plant creatures unless directly attacked. Those under effect of this flag cannot draw their weapons and may be bound by peace-inducing magic. This flag bolsters undead. It also attracts the attention of intelligent undead in the area. The motley pattern on this flag makes enemies sick. These flags could be related to a god of pestilence. A powerful flag, this could grant special abilities to its followers based on the characteristics of a specific dragon. Alternatively, it could allow communication, allegiance, or even control of dragons. This flag grants a insight into a specific skill, type of knowledge, or ability. The followers of this flag gain improved health and perhaps even the ability to magically heal themselves or others. Inert and grey, when activated this flag changes size and shape to appear as the non-magical flag most important to the viewer. This flag changes time within its area of influence. For example, its followers may be able to increase their own speed or decrease their enemies’ speed. Or perhaps the flag offers glimpses of past or future. Capture the Flag: The enemy forces want a specific magical flag. One group defends the flag and benefits from its influence, while the other group seeks to take it. Mysterious Deaths: Strangers have come into town bearing a great banner of their pestilent deities. In conjunction with these strangers, people have started dying and nobody knows why. Enemy Communication: The enemy has developed a new form of long distance communication that isn’t readily understood. Maybe they’ve discovered a form of semaphore or use it in conjunction with a pair of giant magically created hands to do sign language over long distances. Arrival of a Delegation: A group claiming to be ambassadors have legitimate flags to prove themselves but they aren’t who they say they are. Slain Rising: There are reports of a general using a flag that raises his slain enemies and allies as undead. The characters are sent to investigate. Enemy Improvement: The enemy suddenly gets much better at fighting. When the characters investigate, they find out that the enemy is under the influence of a flag that helps them to strike true. Magical Chessboard: Complete with animated pieces set up between kingdoms to solve disputes. The rival king has given his pieces flags that allow him to cheat. The players must figure out the mystery. Wrestling Cheater: A wrestler, under the influence of a beetle flag, uses his enhanced abilities to gain an advantage over his competitors. Monk’s Paradise: A monastery requires members to climb its rooftop. If anyone successfully reaches the flag at the peak while fighting off other monks from the temple, they gain the flag’s powers no matter where they are in the world. If the flag is destroyed, however, they lose all the abilities associated with it. Teleporting Enemy: An enemy general has set up a system where he teleports adjacent to any of his troops wearing his flag. He teleports to strike an enemy and teleports back to a main location. It’s up to the PCs to defeat this tricky foe.